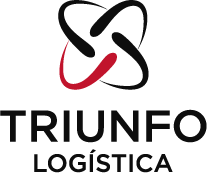 TRIUNFO LOGÍSTICA is a company specialized in developing engineering solutions applied to logistics. Quality, safety and environmental responsibility are intertwined with our work and our relationship with customers. TRIUNFO LOGÍSTICA is a company specialized in developing engineering solutions applied to logistics. Quality, safety and environmental responsibility are intertwined with our work and our relationship with customers. For more than 30 years we have invested steadily in new equipment and in the continuous education of our personnel. TRIUNFO’s Terminal at the Port of Rio de Janeiro has the necessary infrastructure, procedures and licenses to operate the most diverse cargoes and projects. TRIUNFO permanently focuses on engineering solutions and on the development of special equipment for handling project cargo, which combined with its experience ensures high-quality services for customers. TRIUNFO has an Operations License issued by the State Environment Institute (INEA) and a quality management system based on ABNT NBRISSO 9001: 2008, certified by the National Institute of Metrology, Quality and Technology (Inmetro) and The United Kingdom Accreditation Service (UKAS). In addition, our Emergency Center (CAE in its Portuguese acronym) is available 24×7. Facilities secured under ISPS CODE. Spreaders, shackles, steel cables and other accessories. TRIUNFO also provides, through an associated company, transportation of special project cargo within Guanabara Bay and Cabotage, employing barges with cargo capacity of 9.000 – 14.000 tons.